SAN ANTONIO–Sometimes small things make the biggest differences. A new study by UT Health San Antonio researchers found that a molecule thousands of times smaller than a gene is able to kill medulloblastoma, the most common childhood brain cancer. This tiny molecule, named MiR-584-5p, is quite efficient in its action. MiR-584-5p sensitizes the cancer to chemotherapy and radiation, making it plausible to treat the tumors with one-tenth the dose that is currently required, said study senior author Manjeet Rao, Ph.D., associate professor of cell systems and anatomy at UT Health San Antonio and a member of the university's Greehey Children's Cancer Research Institute. "Currently we barrage the brain with radiation and chemo, and patients have poor quality of life," Dr. Rao said. "Using this molecule, we could dial down those therapies considerably, by 90 percent. That's exciting." MiR-584-5p is at very low levels or absent altogether in medulloblastoma. Increasing it to the amount found in healthy cells robs the cancer of mechanisms it uses to survive, studies show. "This can serve as a potent therapeutic for treating cancer," Dr. Rao said. The journal Nature Communications published the findings Oct. 31. The other excitement about MiR-584-5p is that it is normally present at high levels in brain cells and not so in other tissues, Dr. Rao said. Therefore, when it is used in the brain as therapy to kill tumors, it will have negligible effects on the healthy cells because those cells have seen it before. "They may not treat the molecule as something foreign," Dr. Rao said. A future therapy based on the molecule should be well-tolerated, he said. A big challenge for treating brain cancer patients is the inability of cancer drugs to cross the blood-brain barrier, a protective mechanism that holds up brain cancer therapies. Because it is so petite, MiR-584-5p may be able to cross this barrier, which is leaky in some medulloblastoma patients. In the future, Dr. Rao said, the molecule may be delivered using a nanoparticle carrier. Aside from medulloblastoma, the properties of MiR-584-5p make it an excellent drug candidate for treatment of glioblastoma, an aggressive and lethal adult brain cancer, Dr. Rao said. A patent on the MiR-584-5p technology has been filed with Dr. Rao and Nourhan Abdelfattah, Ph.D., first author on the paper, listed as inventors. Dr. Abdelfattah completed her doctoral work in the Rao laboratory and is a postdoctoral fellow at Houston Methodist Cancer Center. A second patent with Dr. Rao as inventor was issued by the U.S. Patent and Trademark Office. Multiple commercialization business models are under review, including a possible start-up company, according to the Office of Technology Commercialization at UT Health San Antonio. 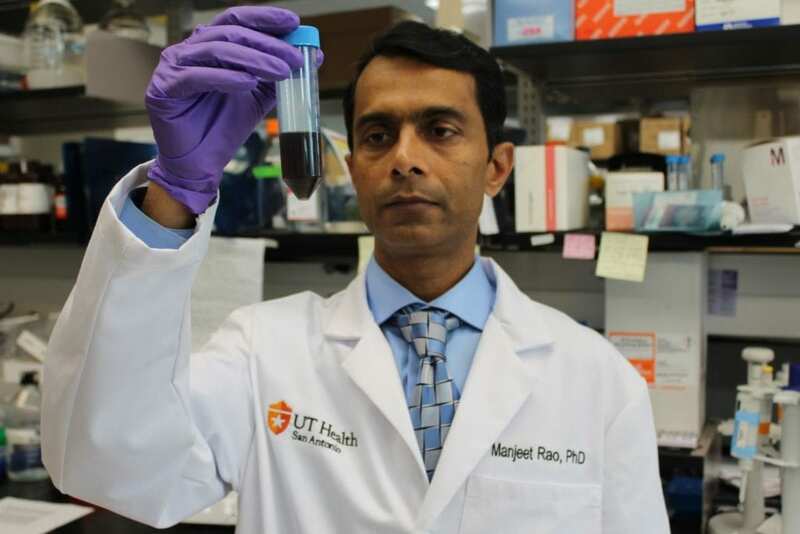 Dr. Rao's research has been supported by the National Cancer Institute, the William and Ella Owens Medical Research Foundation of San Antonio, the Cancer Prevention and Research Institute of Texas, and the Max and Minnie Tomerlin Voelcker Fund. The University of Texas Health Science Center at San Antonio, now called UT Health San Antonio®, is one of the country's leading health sciences universities. With missions of teaching, research, healing and community engagement, its schools of medicine, nursing, dentistry, health professions and graduate biomedical sciences have produced 35,850 alumni who are leading change, advancing their fields and renewing hope for patients and their families throughout South Texas and the world. To learn about the many ways "We make lives better®," visit http://www.uthscsa.edu.